Those of you who enjoyed my last post on sandwiches but felt like you wanted it to be longer and even more niche (lol) then read on, this one is for you! It’s an article originally titled Subject Indexing in an Institutional Repository that I had accepted for publication by Catalogue and Index – periodical of the Cataloguing and Indexing Group, a Special Interest Group of CILIP. I’ve been a cataloguer for some years but have only just started training to become an indexer with the Society of Indexers. I can now see that there are many parallels between cataloguing and indexing and I am often expanding my knowledge of one activity through the other. The clearest example of a task in which the two areas are intertwined is when I classify theses in our institutional repository. Our current repository platform is EPrints using the Dublin Core Metadata Element Set. This allows us to assign subjects to research outputs so that they are indexed and available to users through access points in our discovery layer (Primo). I’m going to avoid discussion about the systems involved here and their interaction with each other and am going to focus on the details of this task and try to understand some of the benefits and flaws of the current workflow. Classification is a big part of my job and certainly the part that I find most enjoyable and challenging. The other day I was looking in vain for a resource that would provide me with a table of ‘date letters’ that are sometimes used when classifying collected works. After a couple of discussions about this it became clear to me that there are many practices in cataloguing and classification that might seem like they are needlessly complicated and opaque. I want to explain that there is a reason for things to be done this way. Every time we make a decision about how to classify something we are doing it with the collection and ultimately the user in mind. 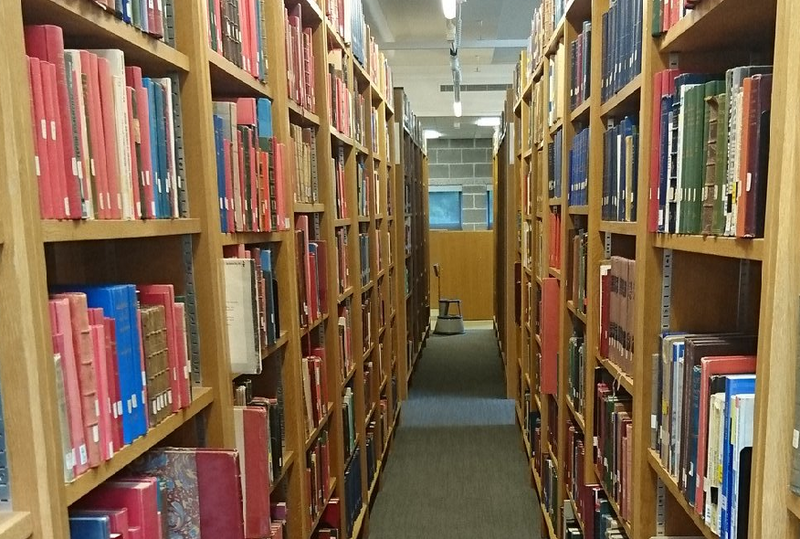 When someone has looked up a book on the catalogue we want them to be able to find it easily on the shelf, but when they get to that shelf we also want them to find a load of other books that are relevant on either side i.e. we want to enable browsing. We want them to arrive at the shelf and first find the general books about a topic and then to be able to walk down that stack seeing how the subject narrows and becomes more specific as the classifications are expanded. In an ideal world we would want each classmark to represent only one book – this is part of the reason for doing the reclassification projects which you can read about here.